No. Surely not, JC? 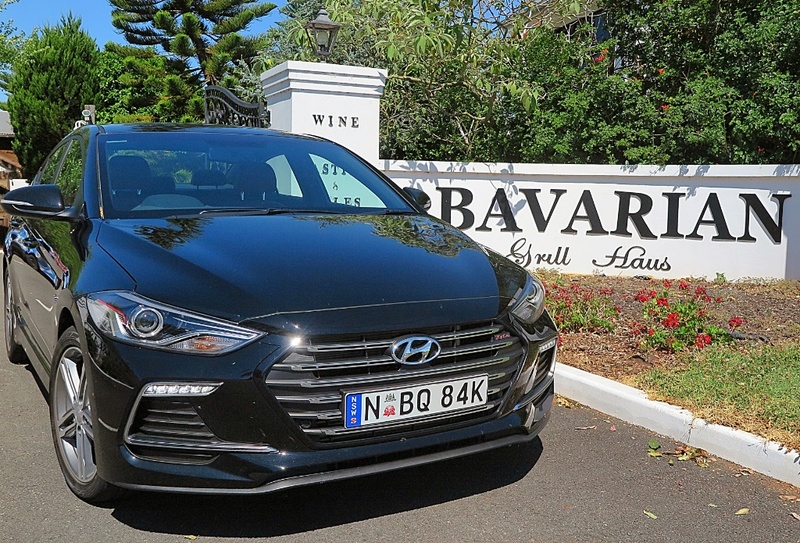 You’re not seriously comparing the Hyundai Elantra SR Turbo to a BMW, surely? Hey, let’s start with the easiest comparison – pricing. 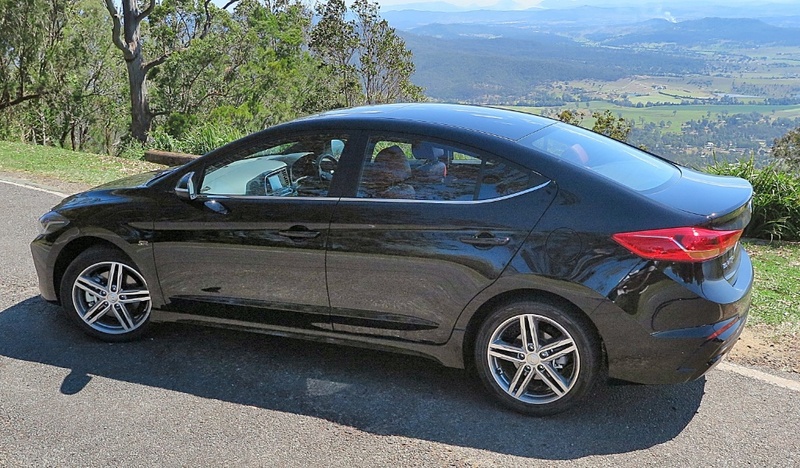 This Hyundai hottie base price is AUD$28,990, and to get the real performance and handling benefits you don’t have to add a thing (except the on-road costs). Let’s take the cheapest of the BMW range, the 2 Series. The basic 220i costs AUD$48,900; the hotter 228i costs AUD$59,900 and the bitumen-blasting M2 coupe is AUD$89,000. So we’ve established that the Korean car is a lot cheaper. Next we’ll look at some basic kit, which you’d like to see in your car. First of all a very willing 1.6L turbo producing 150kW (200hp); slick six-speed manual; independent rear suspension; lots of electronic safety-based drivers’ aids; super-comfortable sports seats; Apple CarPlay and Android Auto; electric driver’s seat adjustment and a really nifty leather-bound steering wheel with a flat-bottom! Has the case become stronger now? Still not convinced? Okay, let’s look at some more basics. Champagne taste? Beer pocket? This one's for you. For starters, there’s a huge amount of badge snobbery out there in the community, and admittedly all the benefits I’ve listed for the Elantra SR are the sort of things you expect in a sports-image car. And, there’s the price difference. But, an alternative to a BMW? 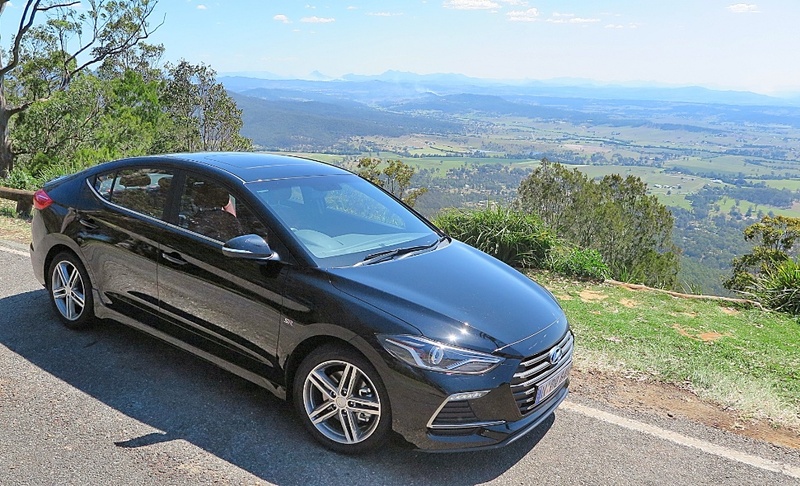 Believe it or not, there are many who would appreciate the qualities on offer in the Elantra SR, who don’t happen to have twenty-or so grand more to drop on a Bavarian bombshell. They'd love a car that does all the things a BMW does, for an affordable price. However, for me, the icing on the cake is that the ride and handling has been tweaked especially for Australian conditions, by Australian-based engineers, employed by Hyundai just for that purpose. The Elantra SR is actually designed to cope with our patchy roads, ribbon smooth freeways, and the twisty bits in between. Think about the level of investment, both in money and resources, which that draws from Hyundai’s bank balance. It is a significant amount to invest in one specific market. That alone should convince you that this car’s credentials are genuine, and a great way to enjoy qualities offered by much more expensive brands. Once you settle into the red leather seats, and buckle up, you’ll feel right at home. 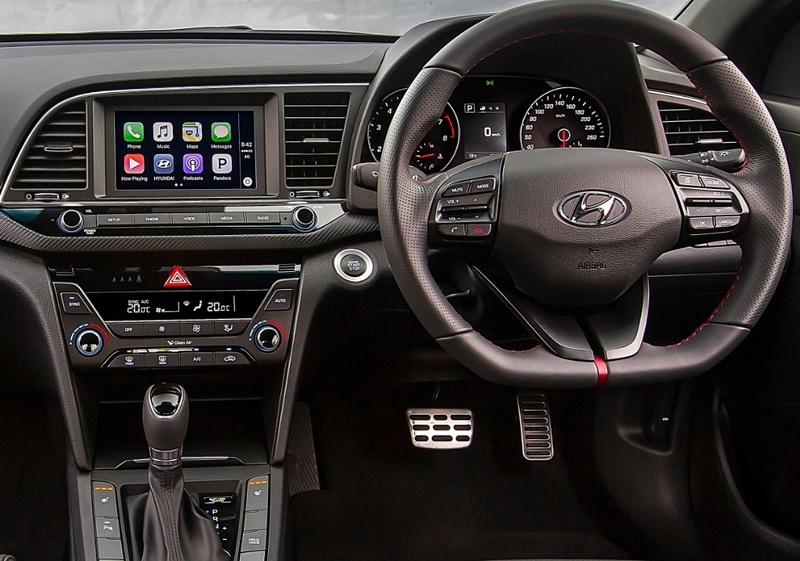 The ambience of the cabin is comfortable and tasteful; the touchscreen offers everything you need for information and entertainment, and when you hit the starter, that spirited little engine may not sound all that sporty, but it’s willing and able. 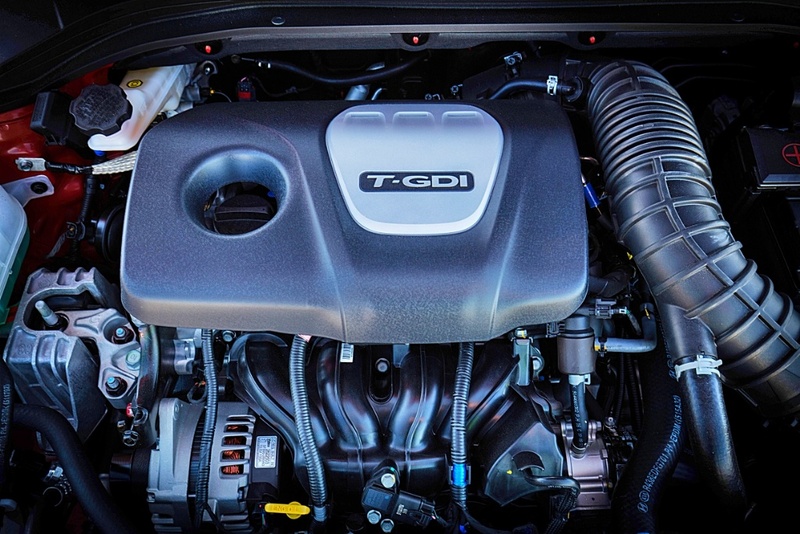 On the road the engine produces effortless power, thanks to a smaller turbocharger, which spins up quickly, reducing turbo lag. The ride is incredibly impressive. Stiff for sporty driving, but very compliant on indifferent surfaces, proving that the Australian-based engineers did a very competent job of massaging and tweaking the various components to deliver an outstanding ride/handling compromise. NOTE: The platform and powertrain of this Elantra, will underpin the 2017 i30 SR turbo, including the independent rear suspension. After my brief test drive I’m left with other strong impressions: the neat, tight way the car turns in, and the quietness of the car overall. It’s well insulated from road noise, and don’t bother with the optional bigger wheels and Pirelli tyres. I found the standard Hankook tyres very good. Terrific grip, and low noise levels. 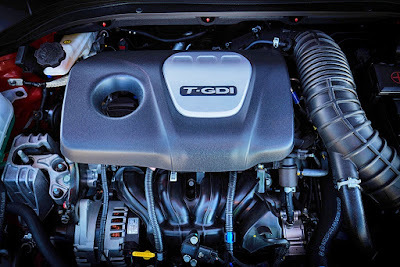 For me, this car, plus the Hyundai Genesis luxury brand; and all the cars from Kia’s stable, are very clear evidence that the Hyundai powerhouse takes its place in the automotive world very seriously indeed. It has proved its integrity by building attractively-priced, reliable and durable cars, which are backed up by very strong factory warranties. Never mind the market forays from the plethora of Chinese carmakers, they’ve all still got a lot to learn about selling cars, let alone ensuring the specifications are right. Hyundai-Kia is determined, committed, and putting its money on the line to prove it is a quality car manufacturer, which deserves respect. One of these days, in the not too distant future, the Hyundai-Kia models will command the sort of price premium, which the Korean giant has aspired to for the last 20 years, so I’d jump in right now and take advantage of some top quality cars at affordable prices. As soon as Hyundai has assessed it is occupying a place of greater respect in the minds of consumers, it will premium-price its products. In fact, I think the Korean company has been very Japanese-like in its patience and plodding dedication along the path from an image of cheap cars to quality products. It’s been a long road, but as the Japanese companies proved, worth it in the long run. Now we will sit back and watch the Chinese companies attack the market (and Hyundai-Kia’s well-deserved elevation) with a huge amount of vim and vigour. I suspect the Chinese will get to that premium position faster than the Koreans, by learning lessons from Hyundai. If not, they’ll just end up being cheap Chinese cars, and buyers will be happy to pay a premium for a Korean-built automobile. 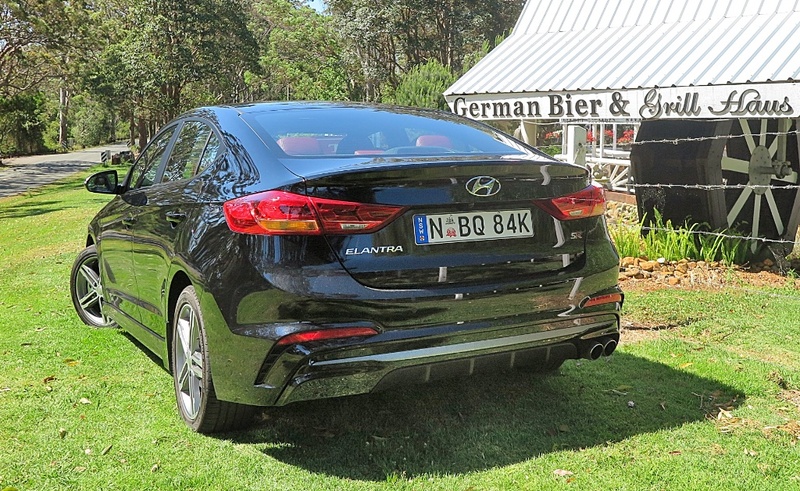 Have I convinced you the Elantra SR could be a bargain Bavarian?